Situated in Hackham, this motel is 1.6 mi (2.5 km) from Onkaparinga River National Park and 2.6 mi (4.1 km) from Onkaparinga River Wetlands. Hardy Wine Company and Maxwell Wines are also within 9 mi (15 km). Organising a trip to Hackham? There are just 2 options within 5 kilometres of the centre of town. Wotif recommends having a gander at the Peppercorns Bed and Breakfast and Chapel Hill Winery & Retreat if you want to be close to all the hustle and bustle. Although it's situated 20 kilometres outside of the main center, Glenelg is definitely worth looking into. 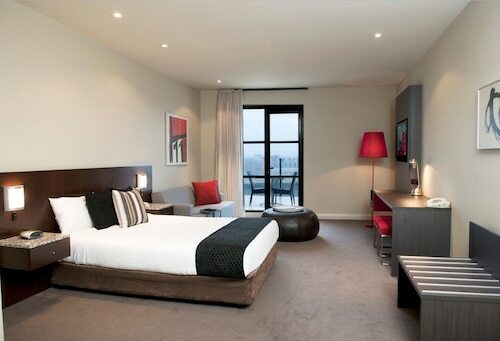 It has 18 available hotels to pick from, Stamford Grand Adelaide and Oaks Liberty Towers. Spend a quiet moment at Onkaparinga River Wetlands and let the water flow on by as you take in its surrounds. Christies Beach Hotel is the only accommodation option local to this hotspot, so make a booking ASAP! For some alternatives, try the Adelaide Heritage Cottages & Apartments and the Buxton Manor. They are 30 kilometres and 30 kilometres respectively from the center. Further alternatives include the Seawall Apartments, 19 kilometres away, and the Fire Station Inn, 30 kilometres. If you'd like to enjoy more of this part of Australia, it's worth staying an extra night or two in the South Australia region. Explore the region's beaches, enjoy a day of hiking, or simply take in the attractions big and small. The South Australia region has something for everyone. The nearby cities of O'Halloran Hill and Clarendon are certainly worth seeing. O'Halloran Hill is 10 kilometres to the north of Hackham, while Clarendon is 11 kilometres to the northeast. Hotels in O'Halloran Hill include the St Francis Winery and Brighton Caravan Park. The Manor Estate and Mt Bold Estate are some of the better ones in Clarendon. Before you leave South Australia, make sure you experience some sport. Find Adelaide Oval to the north of Hackham. 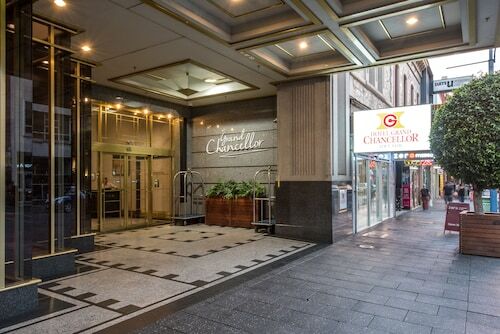 The Adelaide DressCircle Apartments - Sussex St and the Clarion Hotel Soho are near the action. 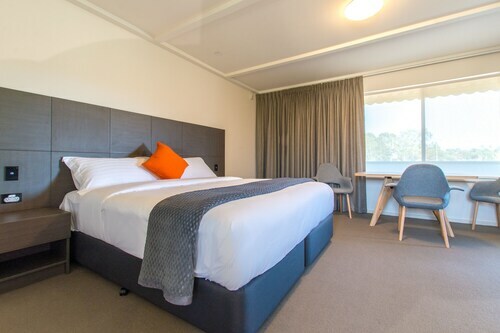 Travellers planning on flying via Adelaide International Airport may choose to book a bed at the Oaks Plaza Pier or the Ensenada Motor Inn and Suites, both of which are a short trip away. How Much is a Hotel Room in Hackham? 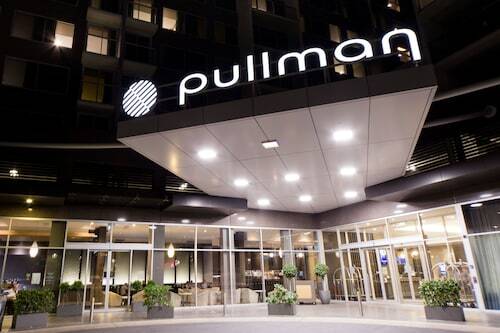 Hotels in Hackham start at AU$75 per night. Prices and availability subject to change. Additional terms may apply.